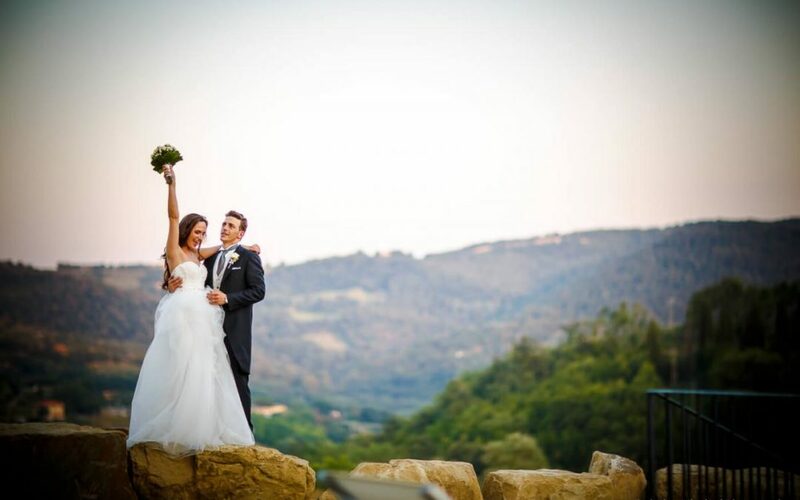 The wedding day is the dream of many lovers who often give up because they fear that they should arrange everything long time before or who cannot get the location of their dreams available for the chosen date. Nowadays the choice to marry is increasingly dictated by a romanticism that requires a fast contentment and disdain long waits, traditionally almost a year. So that the last minute weddings, where there is virtually no time between the proposal and the celebrations, are becoming very popular. One way to overcome this is inconvenient and cut the waiting times is having a midweek wedding, which brings with it many advantages, such as lower costs of the ceremony, immediate availability of the chosen venue for the reception and celebrations, and the almost total elimination of waiting to find the date where suppliers, wedding planners and wedding professionals give their availability, as usually these are already “booked” for every weekend. 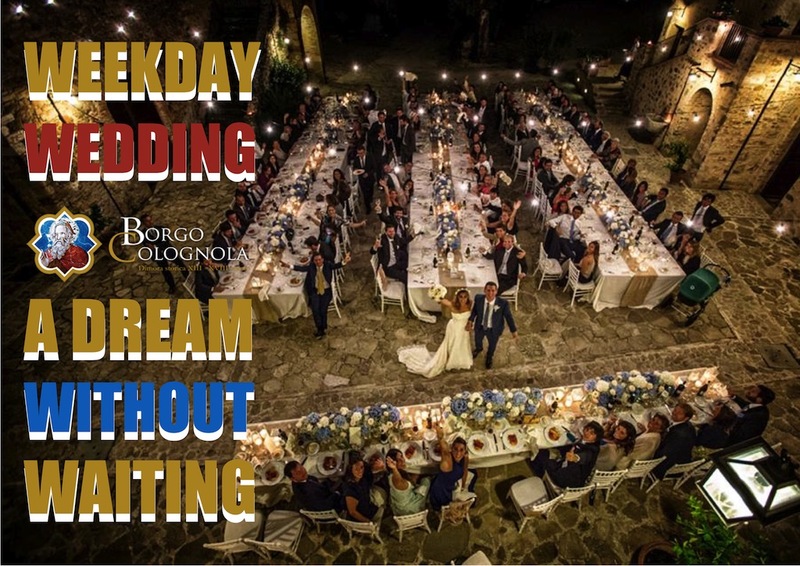 Borgo Colognola, thanks to its professionalism linked to the wedding industry, is able to arrange with you and for you a dream wedding, fulfilling all your requirements, whether related to the timing but also to your personal budget. The ancient and picturesque medieval village is also characterized by the presence a Baroque Church, where you can celebrate religious weddings. Moreover, as it is a Historical House, protected by the Ministry of Culture, it has had permission by the City Council of Perugia to celebrate civil weddings. We can simplify the organization of the day you’ve always dreamed of, offering support in any aspect of the preparation and taking care of all the required paperwork. Borgo Colognola also features spacious and very luxurious apartments where you can spend the wedding night and stay together with your guests, for a break from reality and prolong the pleasure of your celebrations. Obviously staying in our apartment during mid-week comes at a lower price. Then, if we look at the popular tradition, happier marriages are those celebrated in a weekday, especially on Monday or Wednesday, as this is believed to foster luck to the newlyweds. Email us for more information and to learn about the benefits of this increasingly popular wedding option. Discover the other possibilities that we offer to make your unique celebration: Winter Wedding, Sunday Wedding, and A Medieval Village exclusively for you!